Kant Plastology offering a commendable range of Digital TENSILE TESTING MACHINE for determines the mechanical strength of various products like Plastic Pipe, HDPE/PP Tape – Fabric, Plastics rope and many more plastics products. The machine is manufactured from high grade raw material with latest technology which is inspected properly by our highly professional engineers. The offered machines owing the feature like Touch screen LCD display with PLC base HMI control, precision load-cell with durable and sturdy structure of machine. 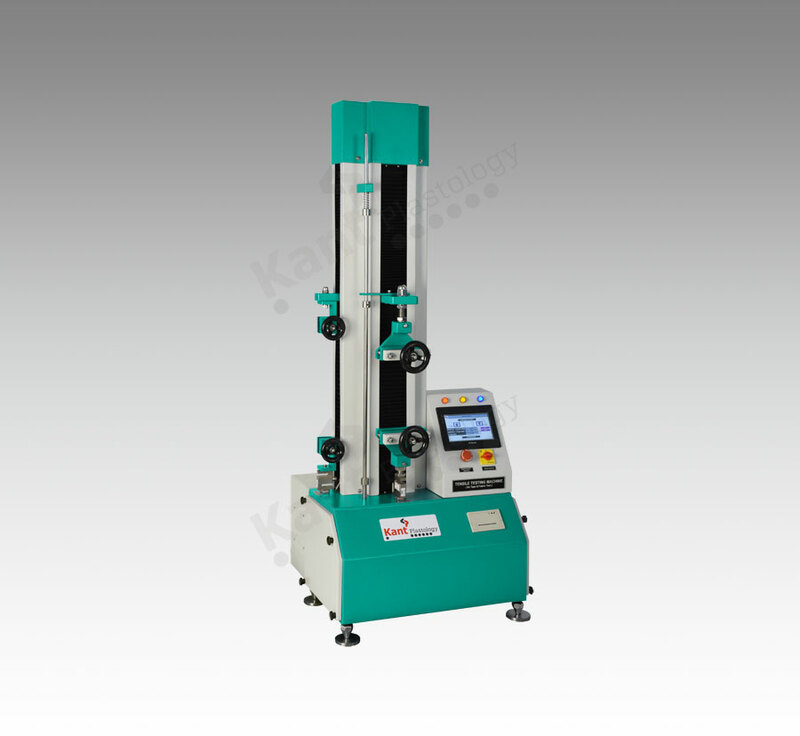 Kant Plastology provide the entire range of TENSILE TESTING MACHINE with multitude of sizes, designs and other related customize specification and designs. System status Touch screen HMI synchronize with PLC to indicate the value of Load, Elongation, Test type & Testing speed etc. Copyright © 2016 KantPlastology. All Right Reserved.